How many times have you set a New Year’s resolution, only to give in to your old ways after a short time? We all have a tendency to set New Year’s resolutions and goals without giving any thought as to how to attain them. Clearly define your resolutions and create stepping stones along the way to evaluate progress! Make a list of the business and personal goals you would like to achieve in a given period and then plan your action strategy to achieve those goals. What PROFIT do you want from your business? Do you want to move up a level in your company? Do you want to attain a particular sales level? What are your direct sales and marketinggoals? What personal growth goals do you have for the New Year? What are your Team growth goals for the New Year? 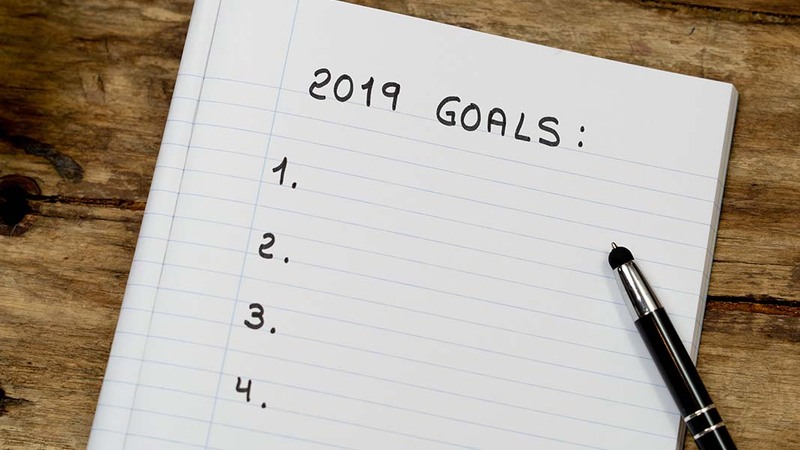 Plan your sales goals, personal growth goals, Team growth goals, customer goals, or whatever it is that you want to accomplish in your business this year. Write down the steps to take to reach those goals. Setting goals is easy, but achieving them isn’t. That is why setting “SMART” goals is the first step in making your goal a reality. Winning the lottery is a wish not a goal. Set deadlines for when each step should be accomplished, and put them in your planner. This way you are committed to the goals, and they are part of your everyday life. The success of your direct sales business depends on your ability to create effective goals. Your business and personal goals need to be specific, measurable, attainable, realistic and tangible. Set yearly goals and then break them down into smaller ones, such as 6 months, 3 months, monthly and so forth to help you plan to achieve your desired outcome. Anyone can pick a “pie in the sky” goal, but if it’s totally out of the realm of possibility, it’s defeating. Share your goals with others so they can support you along the way. Follow up at regular intervals to assess how well you are doing. If an area needs work, you will have to adjust your plan to devote more time to that area. Have an optimistic and positive attitude. Your business can thrive, even in a less than perfect economy. A positive and optimistic attitude will create more productivity each day and propel you towards your goals. And a positive attitude is contagious! Plan your working hours as well. How many hours a day or week do you plan to work your business? Make those hours as productive as possible and save the “busy time” we all get caught up in, such as checking emails from friends and searching the web, for non-business hours. All successful businesses have goals and business plans! In the corporate world they are constantly evaluating and re-evaluating them. Make your goals SMARTER goals by adding E for evaluation after a few months, then an R for REevaluating again in another couple of months. Then REward yourself for meeting the milestones. Most businesses in the corporate world evaluate and reevaluate every quarter during the year. As you re-look at your goals throughout the year, recognize even the small achievements along the way, as they all contribute to attaining your larger goals. Be proud out loud! Share your achievements with your family and friends. Above all, set goals that are truly important to you, not what you think you ought to do or what others expect of you.